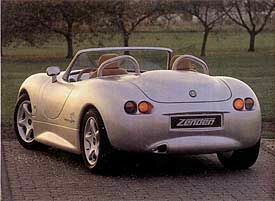 1995 design by styling company Zender, based on Alfa Romeo 75 floorpan and mechanicals. 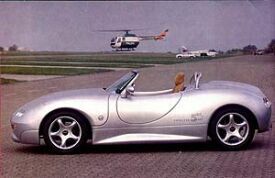 Zender, based in the German town of Mulheim-Kerlich, provided Alfa Romeo with factory bumpers, spoilers and skirts during the late 1980's and early 1990's. 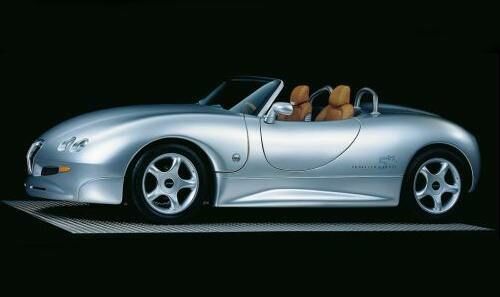 Their range also includes accessories such as alloy wheels, pedals and gearknobs. Building a working protoype was a somewhat unusual step for the company. 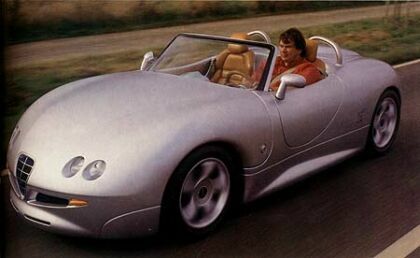 However it is a standard Alfa 75 floorpan and mechanicals, unmodified, mated to an all fibreglass bodyshell. 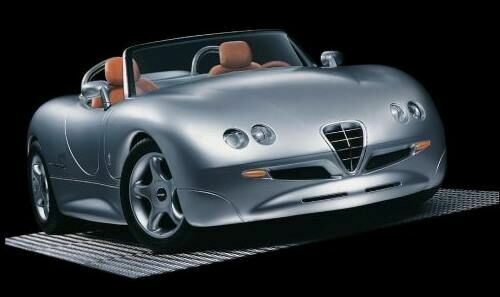 The Progetto Cinque ( Project Five ) is a pure roadster with no provision for side windows or a hood. 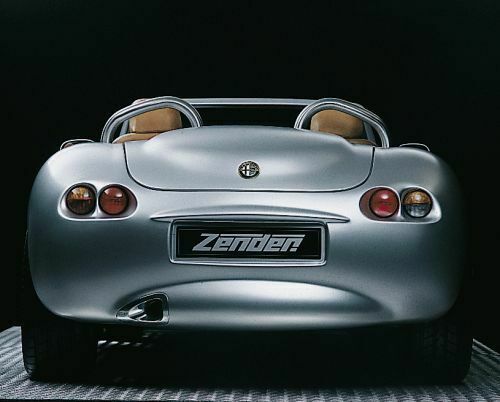 Zender tried to create a modern interpretation of the "Spider" theme, using a mixture of classic styling cues blended into an up to date shape.